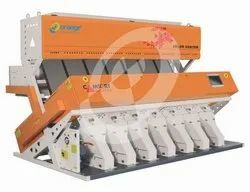 Prominent & Leading Manufacturer from Coimbatore, we offer sorting machinery and plastic flakes color sorter. technology and one millisecond jet valve ejector. 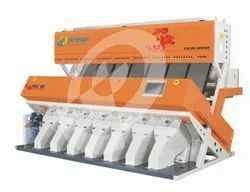 This series machines are the combination of the best technology available today and our decade years of experience in the color sorting industry to give you the ultimate benefit of getting consistent good purity in sorting with minimum loss of good grains in the rejection that means more profit to you.This machine is designed unique with powerful software that makes billions of right decisions to identify the size of defect & spot defect to arrive upon the acceptable product that pass through the high tech line scan camera in a millisecond. through the high tech line scan camera in a millisecond.